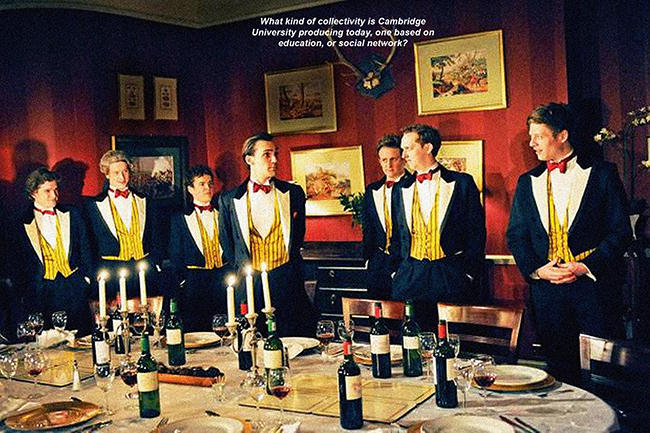 While Cambridge University insists that its admission policy is not socially elitist, it produces the greatest number of billionaires amongst its graduates. 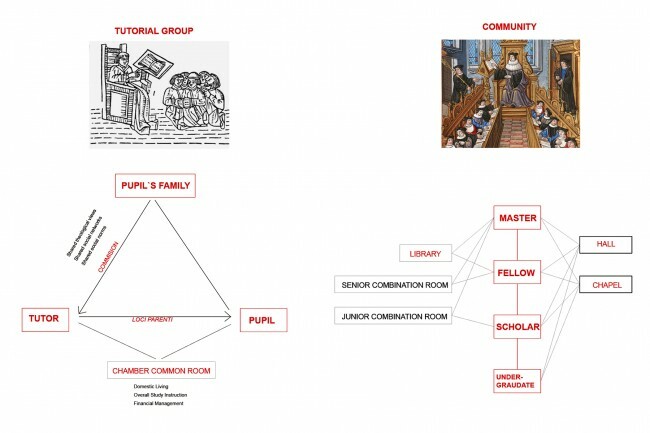 Historically, the education in Cambridge was based on the culture of collectivity, through which knowledge was produced and transmitted to a wider community. Since the social, pedagogical and urban context is radically different now, what kind of collectivity does Cambridge produce today, one based on education or social network? 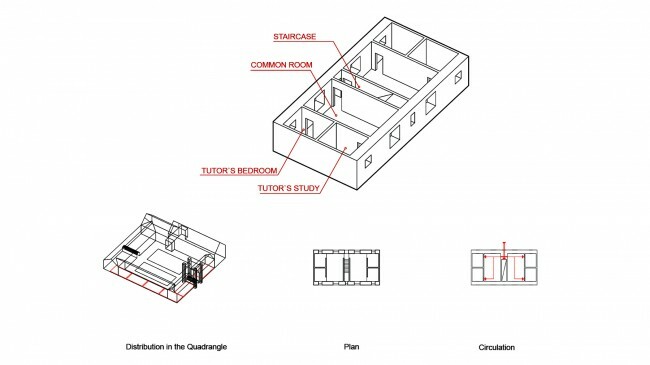 Originating from the cloistered garden in the early monastery, the quadrangle was adopted as the distinct model for collegiate buildings in medieval Oxbridge. 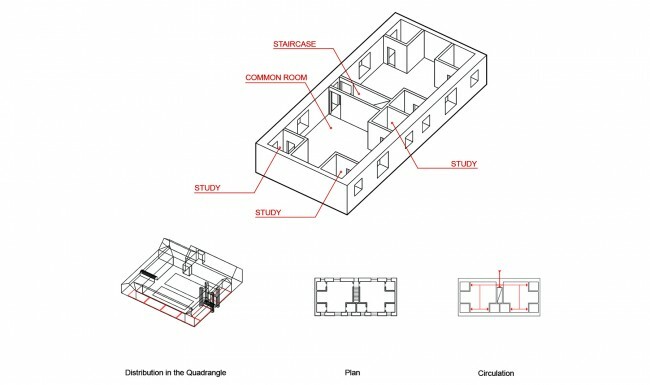 The quadrangle creates a specific living-learning community with a unique architectural and urban form. Its collective forms are made up of overlapping social, pedagogical and spatial diagrams. Contained and focused, the academic education of the students in the quadrangle was also a social education, creating a specific social constituency defined by learning. This social education was also enhanced by the domestic rituals of collective living. However, this collectivity was challenged in the early modern period with a specialisation of knowledge and a separation of domestic and academic spaces. And today the new campus projects have lost the ambition to integrate social and academic learning, which have become separated into academic education and social networks. 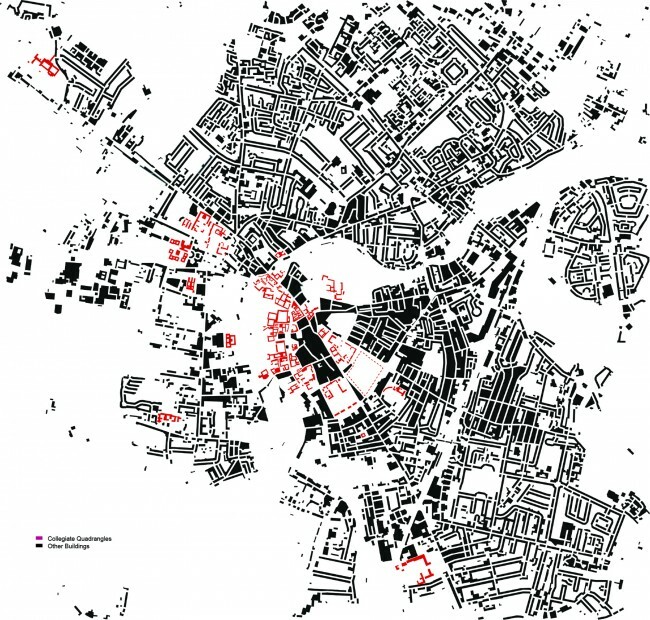 Questioning the reduction of collective forms and constituencies to social networks in Cambridge, the dissertation will study their histories and potentials found in the quadrangles as a social educational model that has a clear spatial, formal expression and a distinct urban function. 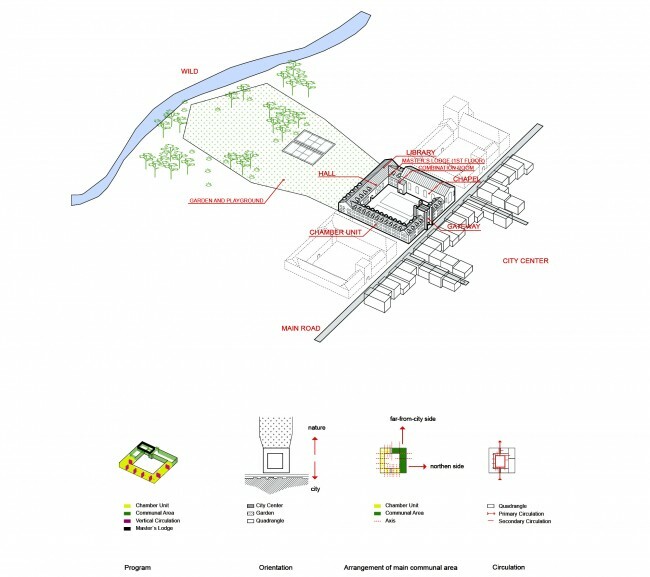 Furthermore, considering the quadrangle as a specific example of the courtyard type with an educational function, the research will compare it to courtyards of other ancient higher-learning centres – monasteries, madrasas and mahaviharas, which will shed light on the rethinking of contemporary higher education and social network. The research so far has studied the history of collectivity in knowledge production in Cambridge. Rooted in the early monastic education, it explores the education in the quadrangle in relation to the formation of social collectivities at different scales, and how this collectivity was challenged by the modern specialisation of knowledge and contemporary social networks. 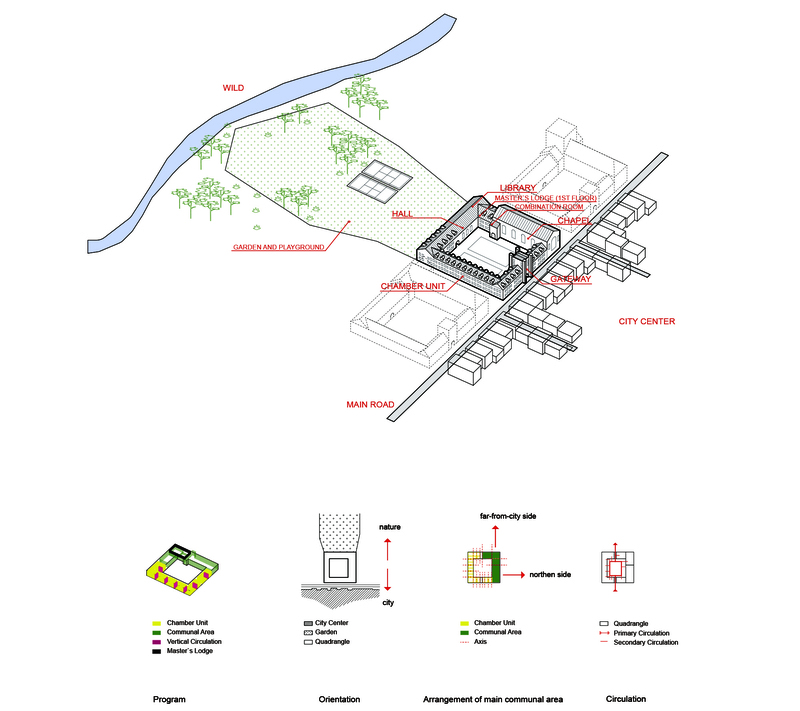 This process is reflected in the reduction of the collective form of the quadrangle typology. 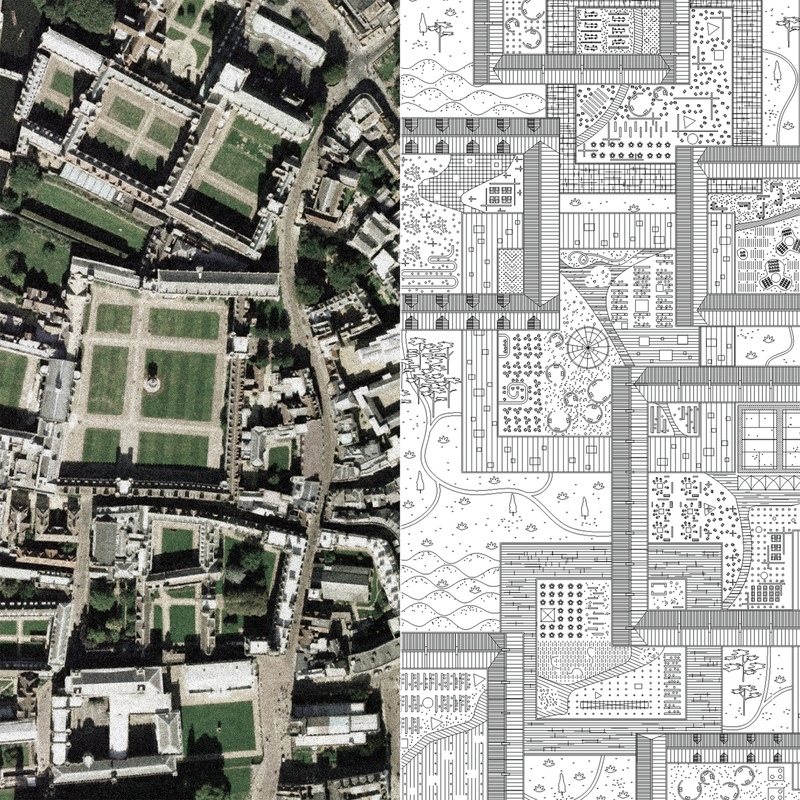 Furthermore, the research investigates the courtyard type, with the quadrangle as one specific example. 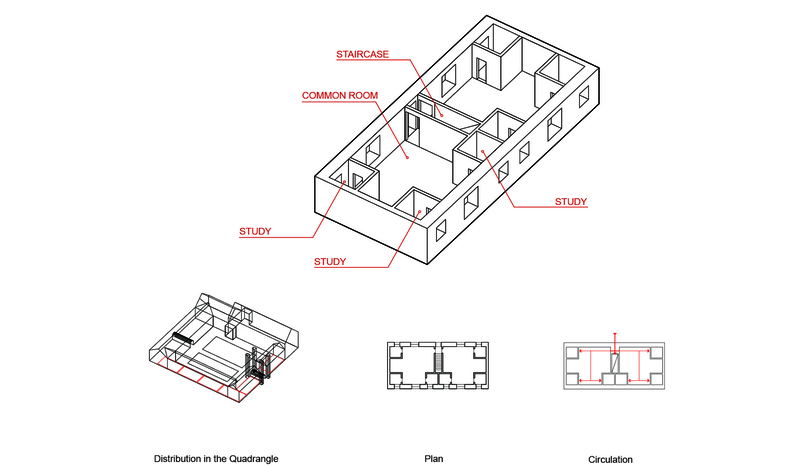 By researching the social, pedagogical and spatial diagrams of other historical higher learning centres, the dissertation will study the general principles of how the courtyard type creates a social and pedagogical collectivity and its relevance to today`s context of higher education. How did ancient higher-learning centres institutionalise and spatialise a specific social learning collective within the courtyard type? What are the spatial, pedagogical and social diagrams of these learning collective? How did they change through history? How can we rethink this idea of collectivity in contemporary higher education and social network? 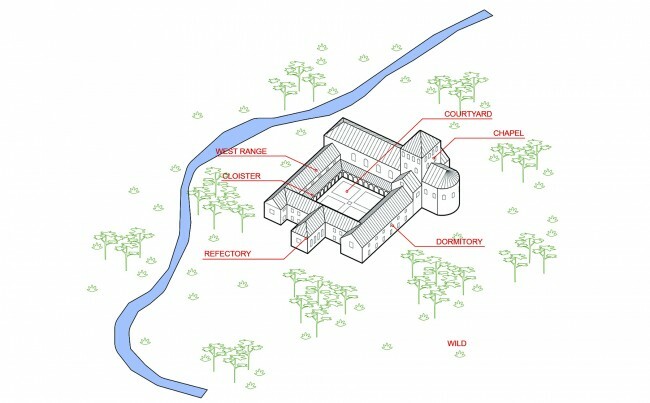 What is the urban role of the interiorised courtyard type such as the quadrangle? 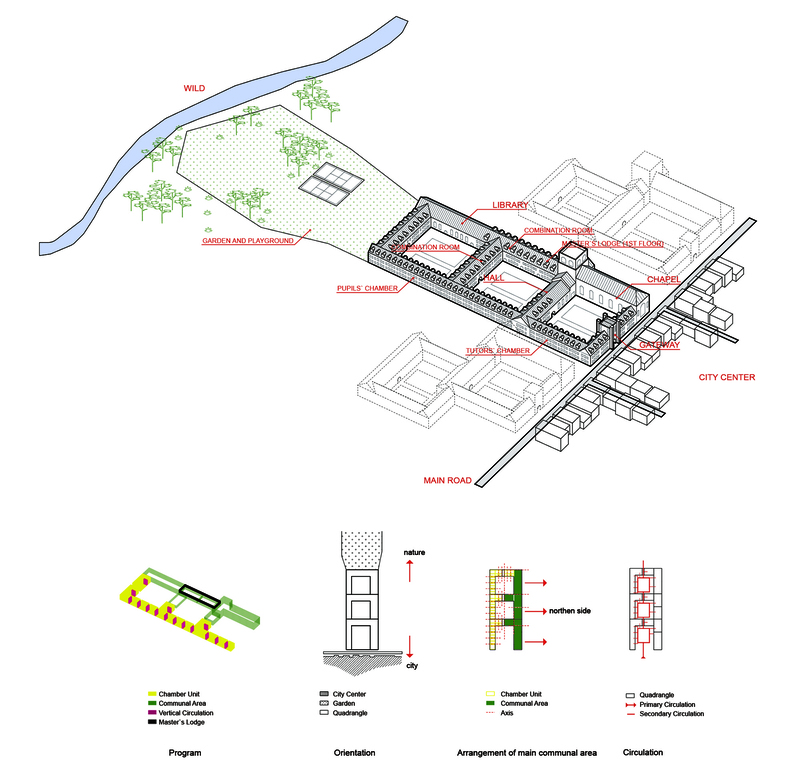 Can this interiorisation be challenged and how would that affect the urban structure? 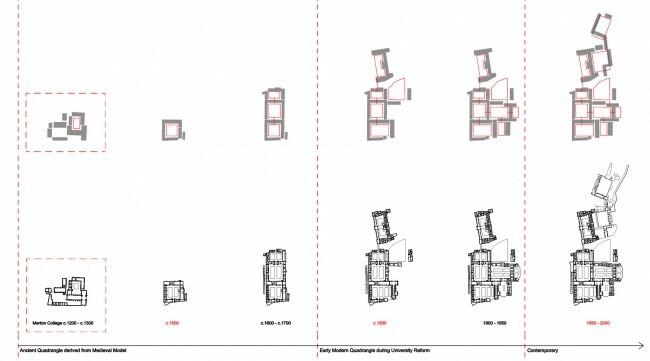 How does the spatial organization of the courtyard type define a specific relationship between rituals of domesticity and learning? How can we project this relation to a current context of higher education?